Your body is going through rapid changes when pregnant which can also cause chaos in your system and even affect your sleep cycle. Being pregnant is an exhilarating and blissful experience second to none but it also comes with a lot of challenges, physically and emotionally. This includes the effect it has on your sleeping as mentioned. Sleep when you are pregnant is considered very important especially to ensure good health for you and your baby. You may feel really exhausted even during your first trimester which signals you need plenty of rest and quality sleep. Afternoon naps and restful sleep during night time is a must for expectant moms. Although sleep matters a lot when pregnant, a huge percentage of pregnant women are reportedly not getting enough sleep or struggling to sleep better. Around 75% of pregnant women are said to be sleep-deprived which is alarming to begin with. Pregnancy can cause frequent wakefulness, especially at night due to the need to empty the bladder or urinate. This will usually be felt at the first trimester and worsens on the second and third trimesters due to the growing baby in the uterus which puts strain on the bladder. Oftentimes, going back to sleep can be difficult when pregnant. More so, pregnancy can wreak havoc on your hormones which may often result in insomnia. Restless leg syndrome or leg cramps get more severe when pregnant. There are a lot of aches here and there due to the stretching of muscles and ligaments which are very taxing when pregnant. Heartburn, sleep apnea, nausea, and snoring can get extremely worse during this time. If you are feeling moody and blue, this is also normal as being pregnant is also known to trigger anxiety, depression, or even panic attacks. You get mixed emotions when expecting a baby. You may get jittery or feel nervous yet excited all at the same time. This can hamper or disrupt good sleep. 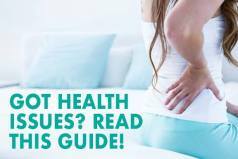 What to Look for in a Mattress for Pregnancy? Memory Foam and/or Latex – Physicians recommend for pregnant women to sleep on their sides. 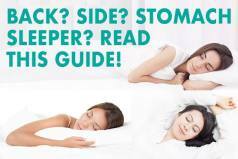 This is good news for women who consider themselves side sleepers already. Memory foam layers or a combination of latex and memory foam can provide that soft and comfortable surface conducive for a good night sleep. An innerspring mattress or a model with pocketed coils may be a good choice as well for the support they give, but sometimes may not be as comfortable. 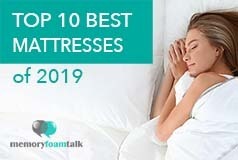 Cool Surface – Most pregnant women often sleep hot so cooling technology features are a big plus in choosing a mattress. Gel foams or similar cooling technology will help you cool down and have better sleep even in a hot weather. Medium Firmness – Most pregnant women get up and urinate a lot of times at night which calls for a medium firm option. While a super soft model is comfy and plush, this will not provide you enough support when you need to get up from the bed. Your body will tend to sink into it which makes it difficult for you to move or get up to go the bathroom when you need to. A medium firm mattress will have just the right density level to provide both comfort and support needed by an expectant mom. Motion Isolation – Frequent wakefulness can be a problem especially when you share the bed with a partner. Avoid disturbance of sleep with a model that has great motion isolation features and also proper weight distribution. It’s a rollercoaster ride for you and your baby but the good news is that the right mattress can provide you that much-deserved sleep. Here are our top recommendations on the best beds when pregnant. Moms need some pampering and this is exactly what the Loom & Leaf can provide you in your 9-month journey to motherhood. It is 12 inches thick and made of 4 layers of plant-based specialty memory foams which are made breathable, hypoallergenic, and plush. It also has a medical-grade cooling gel layer which leaves a cool layer for you to sleep on especially because pregnant women tend to sleep hot. The top cover is elegant and with a luxurious feel to make you feel like a queen. You have two levels of firmness to choose from – Firm (an 8 out of 10) and Relaxed Firm (a 5 out of 10). It’s great to have options in terms of comfort and support levels. The degree of comfort depends on your weight too but this has great contour and conforms very well to your body shape. The Loom & Leaf is made by Saatva mattress company. It is very comfortable to sleep on, with the medium firmness that pregnant women need. The Firm model has less sinkage and better motion isolation, especially for couples to avoid sleep disruption. It is not a surprise that this mattress brand is quite a popular choice. 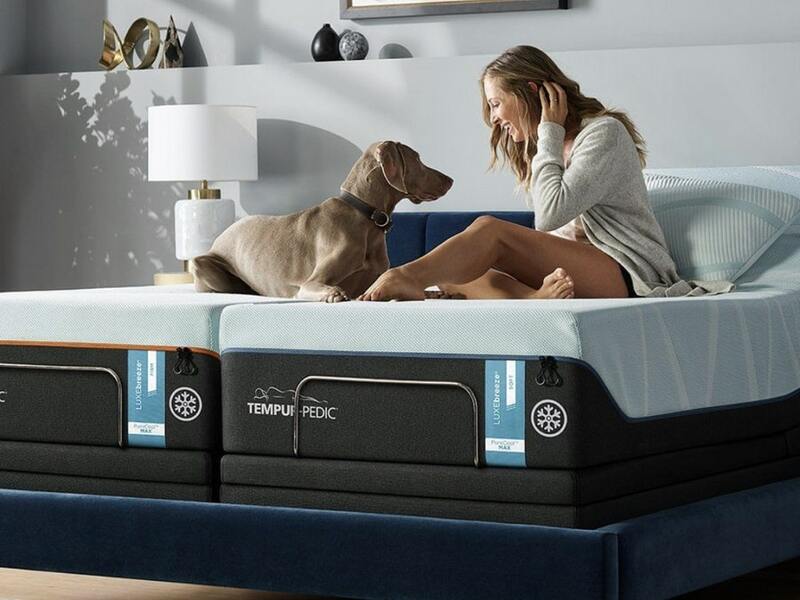 The new updated version of the Tempur Cloud Luxe Breeze provides you with that classic memory foam feel with the plush support of TEMPUR material that is very responsive and conforms to your body movements and shape. It also adapts to your body temperature and helps dissipate heat when necessary to achieve a cool sleep. If you choose it, you won’t have to worry about heat retention. The Tempurpedic Cloud Luxe Breeze is an all foam mattress that provides a plush feel and yet offers enough adjustable support needed on your head and back. The excellent edge support is ideal for pregnant women who want a durable model that can grow with them and their changing needs. And the fact that you can now order Tempur Pedic mattresses online and save up to 30% on select models and other deals makes it even better! 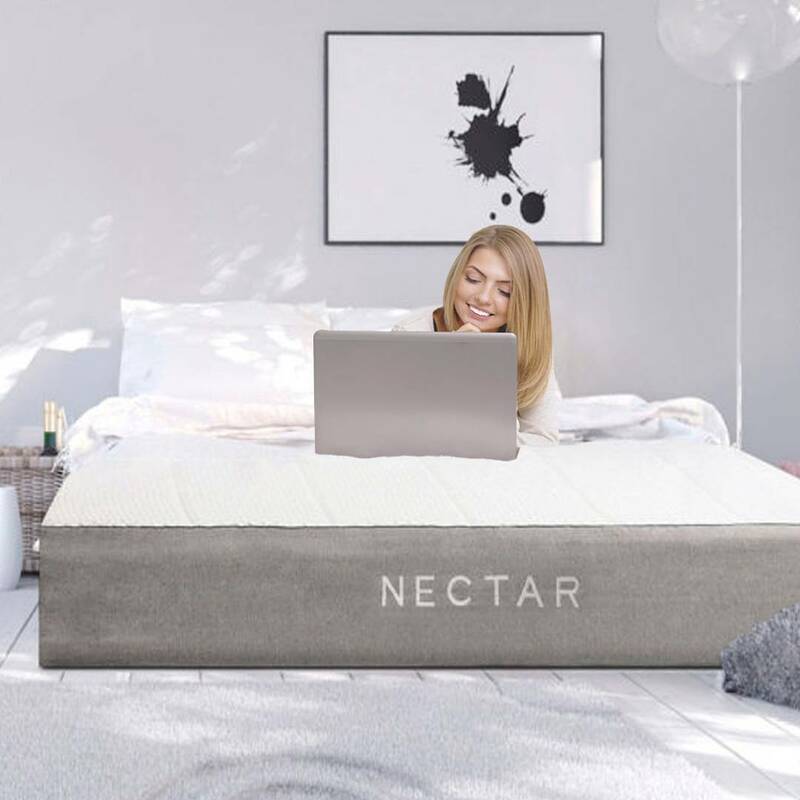 The “forever warranty” seems to be working as Nectar Sleep’s tagline but it has tons to offer more than just the lifetime warranty. It is an excellent choice for expectant moms due to its high quality materials and comfort at a very affordable price range. It also has a long trial period. It is 11 inches thick and composed of four layers of different foams. The top cover is made of Tencel which is plush and cool. It has that luxurious soft feel to it while the rest of the foams underneath provide great contour, motion isolation, and support. This is ideal even for those pregnant women who carry weight for two as well as for couples too because it has less sinkage yet has great push-back. It is categorized as medium firm, which provides adequate comfort and support, no matter what sleeping position you prefer. The Nectar provides good support for the back, shoulder, and hips and will support you during your pregnancy and afterwards.